I have a confession to make. My life's been pretty busy lately, and I've kind of fallen behind on my MUFON caseload... to the tune of about, oh... 13 cases. I'm trying not to feel too bad about it. I am a volunteer, after all; heck, we all are, and I think it's a safe bet that there are a lot of Certified UFO Field Investigators out there in UFO land who are at least as behind as I am, maybe more. And, as I said, life's been very busy. So I log in this week and see that I'm 13 in the hole, and I try not to feel bad about it, and then I learn that MUFON has just revamped the reporting forms we all have to use when filing our case reports. This. I do not need. My experience with MUFON improving its reporting system is that it always becomes more complicated, more cumbersome, and less fun. Would it really hurt anything if we just got rid of UFO classifications entirely? Case in point: One of my first new cases started out a Cat 3-4, then was downgraded to a Category 1 case, but my State Director has advised me to "check for missing time" which seems to me to place it firmly in Cat 2 territory. So which form do I use?? This is when we saw (3) flame/copper/yellowish/orangish/whiteish disk/orb/fire ball looking objects coming at us in a diagonal vertical line. All of a sudden a fourth one appeared out of nowhere just right (east) of the other (3). There were no light trails behind them, I don't believe they made any noise (We had our windows down but I'm not 100% sure that they didn't make any noise because we were all yelling so hysterically for my fiance to drive faster that if they were making a sound it could have been missed by all the commotion) They were probably 100yrds away at this point. My fiance kept yelling for one of us to take a picture or video but for some reason (and i know it sounds stupid) I absolutely felt/knew that if I was to turn around and point my phone at them to take a picture or video I would have been done. When I say "done" I'm not really sure what I mean to be honest but I just felt like if i pointed my phone at them to take a picture it would have pissed them off even more and they would have gotten me or done something to us. I know it sounds crazy but the strangest thing about this whole experience is the feelings we all felt. They were so intense, I don't know if you would consider it fear or the not knowing what was going to happen to us or just that it was so unexplainable. Anyway, these (4) objects were gaining on us and at this pint we all knew that they were chasing us. They then changed formation into a V and the opening of the V was pointed towards us. We were racing down this road at probably 70 - 80mph and made another right hand turn to the west towards Bxxxxxx & the gas station that we were heading to before all of this initially started. So after we made this last right hand turn we were now headed west and there was a farm field on the north side of the road. I had to force myself to look back to see where these things were. This is when I noticed that they had cut off the corner that we just turned on and were heading southwest straight at us in the V formation. I honestly thought that we were done, that we were about to be abducted, but honestly I didn't know what was gonna happen because it was just so unexplainable. It's my first day back and I'm already confused!! 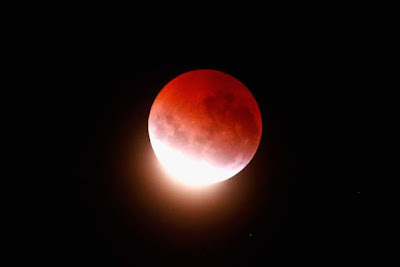 The last 24 hours have been pretty special, I think... Today we learned that NASA has found indications that liquid water flows on the surface of Mars, and last night we were treated to the spectacle of a "supermoon" lunar eclipse. That's an astronomical grand slam if there ever was one! I'll write more about the Mars news in coming days, but today it's all about the moon. Last night I got my beautiful Orion XT8 telescope out into the driveway just as the moon was appearing over the roof of the house and the first sliver of shadow was appearing on its left side. For the next hour I kept the scope on the moon as the shadow spread across its face, and my wife would come out periodically to get looks when she could tear herself away from her baking. Do UFOs come out under the cover of the blood moon? After a while I noticed something amazing... If I looked very closely around the edge of the moon on the "bloody" shadow side, I could see tiny distant stars hovering closeby. Under normal viewing conditions, of course, these stars would be invisible, drowned out by the light of the moon, or untraceable in the presence of a new moon. But last night I saw one only a little ways away from the disc of the moon, and as I watched it "setting" behind the sun I was surprised when it just blinked out. For some reason I expected a gradual fade-out, but the moon doesn't have an atmosphere, so... it just winked out instantaneously. Or had I just blinked and missed the fade-out? I was so puzzled by this that I waited and watched another star disappear behind the moon, and this time there was no mistake: it reached the edge of the moon and ceased to exist... Really makes you appreciate how fast the moon is actually moving. But then something just as odd happened. 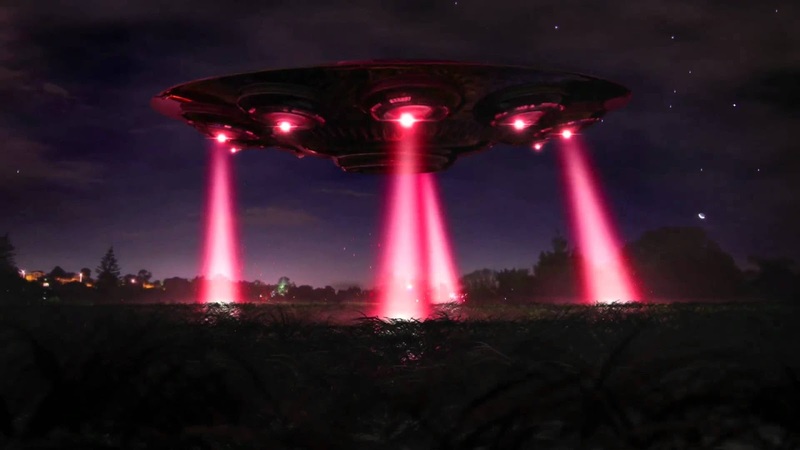 I looked up and saw an aircraft in the sky above me, moving from NW to SE, and it struck me as particularly unusual... What I saw were three bright white lights in a chevron formation, with a red flashing light somewhere towards the front. Nothing strange about that; they were definitely aircraft lights. It was moving at a very leisurely pace, and it had to be very low in the sky, because it was about the size of a golf ball held at arm's length. But here's the weird thing: It didn't make a sound. I am at a complete loss to explain it. So far as I could tell it never deviated from its course or elevation... It just cruised silently along until I lost sight of it through the trees. And, of course, my wife missed it. Not a whole lot was happening in UFO world in the early 1980s, and CUFOS was struggling to keep the lights on. Funding was hard to come by, and Hynek was frustrated that his employers at Northwestern University refused to support his UFO work in any way (although the University loved that the Chair of its astronomy department was such a popular speaker and celebrity and brought so much attention to the school). It was around this time that the gentleman I spoke to came into contact with CUFOS. He had seen a strange object and visited CUFOS's offices to see if they could help him understand what he had seen. Turned out that he had a background in event planning and PR and before you know it he was informally advising CUFOS on ways to build its membership and revenues. This would seem to have been a golden opportunity for CUFOS to strengthen its foundations and expand its reach, and at first it seemed that way... The new CUFOS marketing chief suggested a gala fund-raising event that would garner all sorts of media attention, public goodwill, and more important, cash. The CUFOS board gave him the go-ahead and he started to plan the event. The first thing he did was to go through the CUFOS membership rolled to see if there were any celebrities or public figures (besides Hynek) in the organization. He came up with two immediately: comedians Stan Freberg and Jackie Gleason, and put them at the head of the guest list (he knew there were more celebrities, but these were the only two he remembered by name after all these years). One of the funniest humans ever... and he belonged to CUFOS! I thought this was pretty awesome. 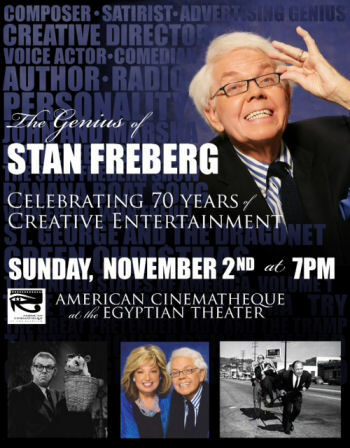 I knew there were stories about Jackie Gleason having been shown a dead alien, but I was shocked that Stan Freberg, who is one of my biggest heroes, was involved with CUFOS. Sadly, Freberg passed away earlier this year, and did leave some evidence that he was invloved in a UFO cover-up with science-fiction writer Ray Bradbury. I don't know that Freberg ever spoke about UFOs publicly before he died but the mere fact that he was a CUFOS member makes me believe more than ever that we must solve the mystery of the UFO... I also think it was pretty brilliant of this guy to treat CUFOS as though it were any other non-profit, just as worthy of financial support as the Lions Club or the Red Cross. Anyway, the key to getting the celebrities to attend, and to give speeches, depended on CUFOS paying their way and giving them small honoraria for their time. Because, any other non-profit would do the same, without question... But other non-profits were not directed by scientists and scholars who hated to spend money and didn't understand that sometimes you have to spend money to make money... To them, tapping into what little money CUFOS had on account to pay to wealthy celebrities was a ridiculous idea. How does that further CUFOS' research agenda? How does that get the organization any closer to understanding the UFO phenomenon? So the answer was no. No money, no celebrities, no gala. And my friend the PR man resigned in disgust, and a few years later CUFOS closed its offices and downsized to a skeleton crew and files stored in members' basements throughout Chicago. In the past 24 hours I've had three phone calls related to my UFO writing, all kind of amazing in their own way, that have come about because of some seemingly insignificant thing I said or did at one time. I have to keep some of the content of these phone calls confidential, at least for now, but I want to share with you what I can here, just so it's on the record. Call #1: A gentleman named Ray Stanford heard my appearance last week on Martin Willis' Podcast UFO, and was excited to hear that I was writing a biography of Dr. J. Allen Hynek. 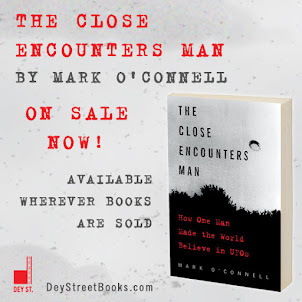 He wanted to talk to me about a time when his work intersected that of Dr. Hynek on the famous 1964 Lonnie Zamora Close Encounter of the Third Kind, and so last night we talked on the phone for about an hour. I was entertained and intrigued by what Mr. Stanford had to tell me about his investigation of the case, and enjoyed his stories of how Dr. Hynek worked when he was out in the field. As for his findings in the Zamora case, a lot of what he told me is recounted in Jerome Clark's "The UFO Encyclopedia," which is reassuring, but I will have to look into it in depth before I can say whether any of it will end up in the book. 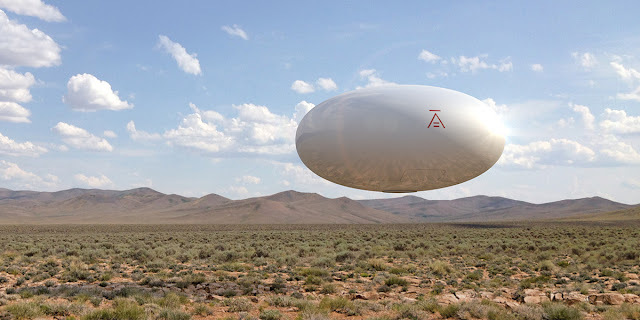 And there's that crazy mystery of the strange symbol on the side of the UFO... (see picture below) In any case, it's always a huge kick to talk to someone who knew Hynek and who worked a case with him. Call #2: A documentary filmmaker who attended my talk on MUFON's activities in Wisconsin at the 2015 Milwaukee Paranormal Conference this past June wanted help with some research for a UFO film he hopes to make. In my talk I had told the story of the 1961 Joe Simonton "pancake" CE3K in Eagle River, Wisconsin, and the filmmaker wanted to know if there was enough material there for a documentary. I think there is, and I think this guy can make a pretty entertaining film on the subject, because I really liked his approach to the material. He doesn't have an axe to grind. He isn't interested in proving or disproving the Simonton case. He just thinks it's a fascinating story and it will be fun to make a film about it. He even sent me this link to a great little interview with Mr. Simonton and a disclaimer from Project Blue Book head Maj. Hector Quintanilla! All that in 24 hours... I wish every week was like this! I first realized this a day or two ago while watching a Season 3 episode of "The X-Files." The episode, "Nisei," dwells on the convoluted conspiracy narrative that forms the backbone of the entire series, and while it's a bit muddled at times it's a pretty good yarn. It involves the death of a bunch of Japanese scientists while conducting an alien autopsy, and the recovery of a mysterious briefcase, in which Special Agent Mulder finds a list of the MUFON members in Allentown, PA. It's a long list. Lots of people in Allentown, according to "The X-Files," belong to MUFON. Lots and lots of people. Way more than the MUFON membership in the entire state of Wisconsin. What can this mean? Before I can fully understand, Special Agent Scully takes the list and decides to visit the home of a member whose name and address are circled on the list with red pen. 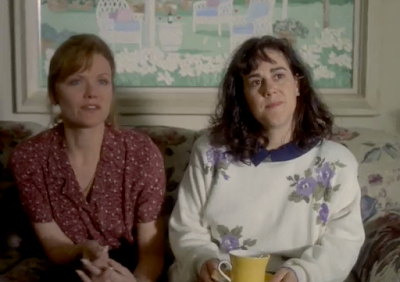 When she gets to the woman's house, Scully discovers that the MUFON member recognizes her. 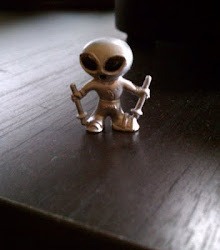 What's more, when the MUFON member quickly assembles the entire roster of Allentown MUFON members in her living room, they all recognize Scully! Sad ladies with alien implants... This is not the MUFON I know. This is an amazing moment... Not only are there dozens of MUFON members in Allentown, they are all sad-looking housewives who have been abducted by aliens (or perhaps Japanese scientists) multiple times, all of whom have had implants placed in their necks and then subsequently removed and placed in little glass bottles, which they all carry around with them to sadly display to people like Agent Scully. Now, maybe this really happens in Pennsylvania, but here in the Wisconsin MUFON chapter we have so few members, and we're so distantly scattered around the state, that we pretty much never have meetings. Even if we did, we're not a bunch of sad-looking housewives with souvenir implants. We're just a handful of guys (and one woman, mostly retired) who investigate UFO sighting reports in our spare time, and to my knowledge none of us has ever been abducted or has ever left the planet. One one level, none of this has any importance... On that level, I just think it's funny how the "X-Files" writers and producers re-imagine an organization of optimistic amateur UFO hunters as a massive, eastern Pennsylvania-based horde of traumatized and paranoid female alien abductees to fit the dramatic necessities of the storyline. Sure looks like a spaceship to me! I say: This sounds a lot harder than I think it will actually be. You see, I have already survived several close encounters with what I'll call The Don Schmitt Experience. I have seen how he works, what he is willing to do to maintain and protect his cherished narrative and his personal brand, so it won't be hard to anticipate his approach to this debate. I say: Fair enough, Anon, but if this debate happens I'm hoping it might set a precedent for the UFO community as a whole to be more questioning of its "leading lights." As my wife, the acadamician, says, as long as the UFO community allows people like those on "The Roswell Dream Team" to create and disseminate knowledge without any checks or balances or even the most rudimentary reality filters, that "knowledge" will never have any true worth. ...It certainly wouldn't hurt to research Kevin's blog. I don't know how you feel about Kevin but he does seem to call a spade a spade and is willing to admit when he was duped. 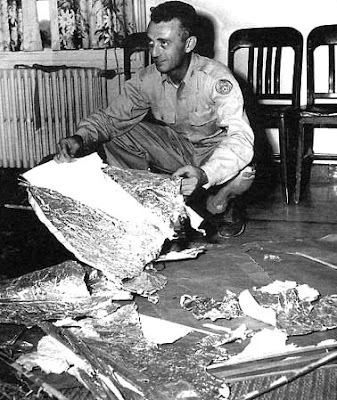 In researching Roswell it's almost certain to trip on a few "truth mines" as I call them. I say: You're right. It wouldn't hurt. I read Kevin's blog from time to time, and I usually have my "truth minesweeper" turned on when I do. 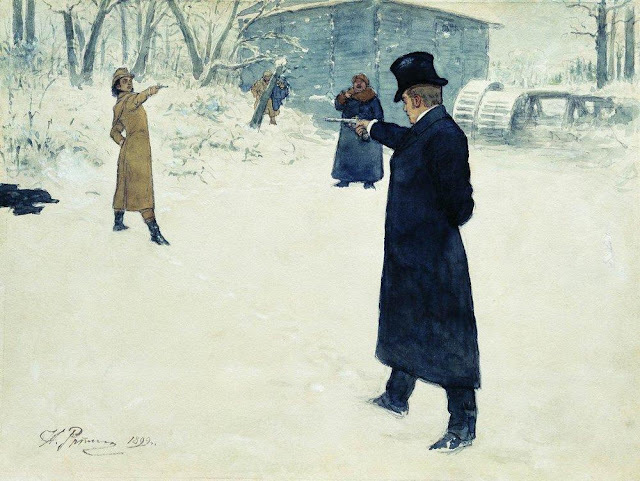 ...I suspect this debate will never happen. There was supposed to be a June press conference of "experts" Schmitt promoted a few months ago of those that supposedly still support the slides as being of an alien body, and that never happened. I say: I will be disappointed if the debate never happens, although I can understand why Hynek's Ghost predicts that it won't. And he or she is not wrong to point out that I could never win the debate if it were measured purely on who knows the most about the Roswell mythos. As I mentioned in the last post, if that's all this debate is to be about, I concede here and now. It's my hope that the debate will be about more than Roswell trivia. I would like the debate to focus on investigational ethics, the propogation of myth disguised as knowledge, the value or lack thereof of deathbed confessions, the ethics of charging people admission to see your "data," the difference between searching for data to explain an unknown phenomenon and deciding at the outset what the phenomenon is and then searching for data to prove that assertion (even the the point of misrepresenting it). There's a lot we can debate without getting mired down in who the mystery nurse really was and what the Ramey memo really said and what was the mystery cargo on that airplane... But of course I'll be studying up on all that anyway. I have a whole year!